Energy Systems Group (ESG), a wholly owned subsidiary of CenterPoint Energy, Inc. (NYSE: CNP), is a leading energy services provider that specializes in energy efficiency, sustainability, and infrastructure modernization solutions in the government, education, healthcare, commercial, and industrial sectors. Accredited by the National Association of Energy Service Companies (NAESCO) as an energy services provider, ESG's comprehensive solutions include facility-wide audits, engineering and design services, construction and project management, operations and maintenance, and measurement and verification of savings. Our projects and customers have earned several awards and certifications. From Leadership in Energy and Environmental Design (LEED) certifications to being recognized by the U.S. Department of Environmental Protection as Energy STAR Leaders, our innovation, performance and expertise is award-winning. Greg Collins brings thirty years of experience in a variety of segments of the energy business to his role, having held executive positions at PSI Energy (now part of Duke Energy), PG&E Energy Services and Pepco Energy Services. Greg was also a partner in the management consulting firm, Barakat & Chamberlin where he led the Strategic Market Planning practice. 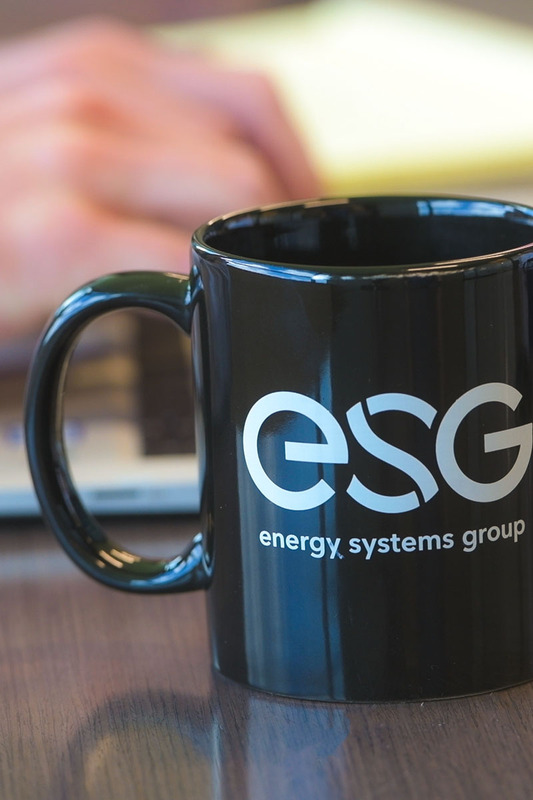 Under Greg’s direction, ESG has grown by over $100 million in revenue over the last five years. Greg currently serves as the Vice Chair of the National Association of Energy Service Companies (NAESCO) and has advocated for various industry initiatives in Washington, D.C. and state capitals. Before leading Energy Systems Group, Greg served as President of Vectren Source, a leading natural gas and energy services provider to residential and small commercial customers. Steve Pride has over twenty years of engineering, sales management, and operations experience. He is responsible for business development and operations for Energy Systems Group’s Public Sector business unit. Steve leads the development of advanced energy and infrastructure solutions in the government, education, healthcare, and commercial sectors. He has overseen the design, construction, and operations for hundreds of millions of dollars in energy performance contracts. Steve earned a Bachelor of Science degree in Mechanical Engineering Technology from Southern Illinois University. Lawrence Roth has over twenty years of design, engineering, operations, project management, construction and maintenance experience. As Senior Vice President, he oversees the business development and operations of Energy Systems Group’s Sustainable Infrastructure business unit. He leads advanced energy infrastructure solutions in the renewable energy, waste-to-energy, and distributed generation sectors. He is responsible for the development and implementation of innovative technologies inclusive of waste to energy, renewable energy, water/wastewater, cogeneration, demand response, and biogas recovery systems. Lawrence earned his Bachelors of Science degree in Building Construction Management from Purdue University. Steve Spanbauer brings more than twenty years of experience as a leader in the energy performance contracting industry. Steve has led teams in achieving significant growth in Program Management, Business Development, Engineering Leadership, and Sales Leadership in the Building Efficiency and Power Solutions businesses. Steve’s diverse leadership and technology experience include creating new innovative contracting mechanisms, renewable energy, micro-grid applications, CHP, international ESPCs, as well as developing business strategies for the emerging lithium-ion energy storage market. Steve received his Masters of Business Administration from the University of St. Thomas with a concentration in Information Technology. Meram El Ramahi has more than fifteen years of integrated marketing communications experience in public relations, strategic marketing, branding, advertising, journalism, graphic design, broadcasting, website and social media development, and marketing management. Meram leads ESG’s internal and external marketing and communications platforms and drives organizational, marketing, and communications strategies, media and customer relations, advertising and events, and customized platforms for ESG customers in the education, healthcare, government, commercial, and industrial sectors. She is fluent in three languages and earned her Master of Business Administration from the University of Southern Indiana and her Bachelor of Arts degree in Journalism and Mass Communication, with a specialization in Integrated Marketing Communications, from the American University in Cairo. Drew Bailey has over ten years of experience in accounting, auditing, financial analysis, mergers and acquisitions, and taxes. Drew continually examines business productivity and manages the development of ESG’s plans, budgets, capital management, and financial forecasts. Prior to joining ESG, Drew worked as the Director of Finance and Investments in Corporate Planning for Vectren Corporation, the parent company of ESG. While at Vectren, Drew was also a Director of Finance and Investments for Vectren Enterprises. Drew earned his Master of Business Administration and his Bachelor of Science in Business Administration with a concentration in Accounting and Finance from the University of Southern Indiana. Kelly Foreman brings more than fifteen years of experience in human resources management, talent acquisition, performance management, compensation planning, employee and organization development, and employee health and welfare benefits. Kelly provides guidance and coaching on employee career planning, counseling, employee relations, performance evaluations, and workforce planning. Kelly collaborates with ESG’s executives to help establish strategic policies that foster a culture of teamwork, entrepreneurship, transparency, and collaboration. Kelly earned her Master of Business Administration from Murray State University and her Bachelor of Business Administration in Marketing and Management and Human Resources from the University of Wisconsin-Madison. Dan Shell has over twenty-six years of comprehensive legal and leadership experience in providing practical solutions and guidance while managing risk and maintaining the highest levels of integrity. Dan ensures compliance and successful management of all legal affairs, contracts management and environmental, health and safety at ESG. Dan leads key contract negotiations with ESG customers and their legal counsel. He also manages ESG’s surety company relationship and bond portfolio. Dan earned his Juris Doctor from the University of Arizona and his Bachelor of Science in marketing from Arizona State University. Dan is licensed to practice law in the States of Indiana and Tennessee. Sean Smith leads continual process improvements in ESG’s overall business operations to increase organizational efficiencies. Sean leads the development and implementation of business strategies in the areas of enterprise resource planning, information technology, cybersecurity, software development, and facilities management. Prior to joining ESG, Sean was Vice President and General Manager for Vectren Source, which was a wholly owned retail gas marketing subsidiary of Vectren Corporation, where he oversaw the operations of GreenStreet Solutions, a business that focused on providing home energy audits and professional energy usage expertise for customers in Ohio. Sean also previously served as the Director of Gas Operations for NewPower and the Director of Customer Operations for Columbia Energy Services. Energy Systems Group’s executive team is comprised of passionate and dedicated leaders who bring numerous years of combined experience in energy services, performance contracting, engineering, financing, accounting, sales and marketing, human resources, government relations, information technology, contract development, and project management. 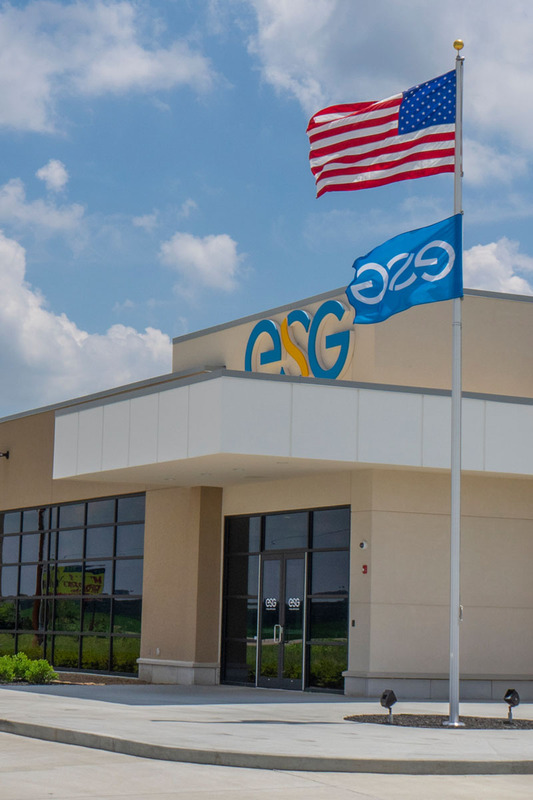 Over the last quarter century, ESG has steadily built a reputation as a leader in its field and a trusted partner to its customers. In that time, core values have been developed—values that define who the company is, what it stands for, and where it is headed in years to come. Sustainable, holistic infrastructure solutions make the world a better place. We are one team, constantly striving to bring out the best in ourselves, our partners, and our customers. Empowering our people to make decisions leads to business growth. We take calculated risks to drive our business forward and carry our entrepreneurial spirit into everything we do. Solutions require collaboration: we are connectors, aligning partners to solve our customer’s problems. Impact does not depend on size – we enjoy punching above our weight. We have fun and celebrate success. We work hard and play hard. We leave things better than we found them, always and under every circumstance. Exceptional delivery and exceeding customer’s expectations at every moment is the basis for our success. If there is a better way, ESG will find it. We care deeply for our people, providing room for professional and personal growth - we are a family at our core. Energy. For ESG, this isn’t just an industry or a product. It’s a philosophy on how we tackle customer challenges. Every solution ESG provides is born out of a flurry of ideas that push boundaries and challenge conventional thinking. 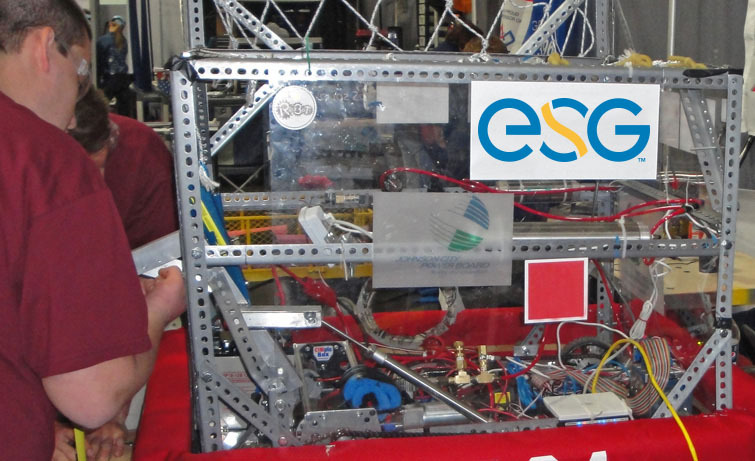 ESG strives to exceed expectations. At ESG, every decision made on a project is shot through the prism of genuine partnership, asking the question, “How can we do right by the people we’re serving?” It is this kind of commitment that generates trust, which then leads to satisfied customers and a promising future. ESG is committed to conducting business safely and ethically, growing the communities where we operate, and promoting sustainability and environmental stewardship. This instills trust and confidence in our business and community relationships. To protect the integrity of our relationships, we expect our customers, subcontractors, suppliers and vendors to share our commitment to safe and ethical conduct. Every day we strive for an environment that reflects our values, as well as ethical and legal requirements. Every interaction that we have, every decision that we make and every goal that we pursue is approached with a dedication to ethical business conduct. As a customer-focused company, the development of long-lasting and trusting relationships is the foundation of our business. Our safety standards ensure that our customers and communities can trust the safety and reliability of the products we install and the services we provide. We address unsafe situations we find, and we take the necessary steps to prevent unsafe situations from occurring. ESG employees share in the commitment to community by volunteering their time, talents and treasure. 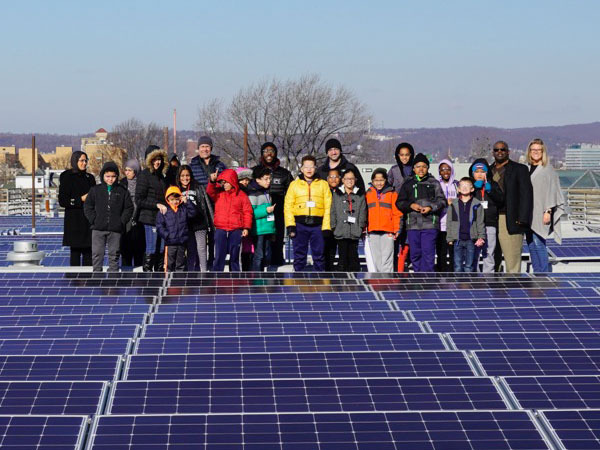 Whether it is by serving on a nonprofit board, choosing to contribute personal funding to a local charity or spending a day volunteering; ESG employees are community-minded and highly engaged. The combined efforts of ESG and employees continue to make significant positive impacts throughout the communities we serve. ESG, ENERGY SYSTEMS GROUP, and PUSH FURTHER. THINK BEYOND. and various designs thereof are trademarks of Energy Systems Group, LLC.